into your existing Health care practice. BodyTalk Fundamentals is the foundation of the BodyTalk System and there are no prerequisites to attend. This four day course attracts people from a variety of professions, backgrounds and life experiences. There will be first time students, students who are repeating the class as refresher, and some will be taking the class to prepare for their certification exam. And some take the class to assist in their healing process. BodyTalk meets you where you are at in your journey. We teach to all learning styles, provide plenty of practice time and have fun learning new concepts. Our intent is to create a fun, relaxing and safe learning environment for you and your fellow students. The information is presented at a pace you can absorb and in a way that is understood by all learning styles. During the four day course you will experience hands on and by the end of the workshop you will know how to do a BodyTalk session from start to finish. Comprehensive 334 page Manual with practical step by step instructions. When I discovered the BodyTalk System™ in 2002 I knew I had found a way to incorporate my lifelong passion and studies in the evolving field of health care. After graduating as RNA in 1976, I continued to expand my knowledge with studies in aromatherapy, reflexology, massage, Touch for Health, Kolami and applied kinesiology. I also became a Reiki Master in the Usui and Takata lineage. I have come to appreciate the BodyTalk System™ because I witness the joy my clients experience as they regain health and happiness in their lives. Debilitating health concerns such as fibromyalgia, arthritis, allergies, Epstein Barr, dyslexia, addictions, back pain, insomnia, mental and emotional fatigue, stress, unhealed emotional and physical scars, migraines, hepatitis and other viral infections are just some of the health concerns addressed in BodyTalk sessions. Cherie Carpenter catalyzed a huge change in my life. Her intuition is bang on. She knew that I needed to take BodyTalk and subsequently BreakThrough. 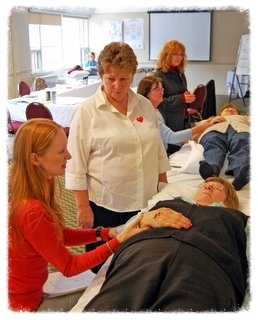 I have been a BodyTalk Practitioner since 2003 and presently the Senior BreakThrough Instructor for the IBA. What an amazing journey! Thank you Cherie you brought me home to myself. Students of all backgrounds and professions take the course to care for their family and enjoy the life long benefits of BodyTalk. Others view BodyTalk as an opportunity for a part time or full time career. Attending the course is the first step in your journey to becoming a certified practitioner. Retaking the course is a fun, efficient and smart way to prepare. BodyTalk meets you where you are in your healing journey and is a fascinating personal growth process. * Improve communications between the organ, endocrines and other body parts. * Balance the immune response to factors entering the body from the external environment including, microbes, toxins, allergens and intolerances. * Release tension by disassociating negatively charged memories and beliefs that are stored in the bodymind. * Balance the cortex, limbic and reptilian aspects of the brain. * Balance the 7 chakras, the 12 meridians and the pancreatic reflex point. * Improve the efficiency of the Cellular Repair processes of the body. * Improve lymphatic drainage which helps to detoxify the body and enhance the immune system function. * Energetically improve the function of the circulatory system as well as the nervous system. * Balance the musculo-skeletal system in order to improve posture, flexibility and overall energetic and physical circulation. WholeHealthcare focuses on addressing the whole-person and their unique story to reveal the true underlying causes of dis-ease. If you are interested in embarking on a new career in health care, the BodyTalk System offers you an opportunity to establish an incredibly rewarding practice. The certification process begins by taking the BodyTalk Fundamentals course followed by a step by-step process of study, practice sessions, and both a practical and written exam. The requirements can be completed in a timeline that suits your schedule and lifestyle making this an accessible, affordable, and practical way to launch a new career path. As a professional in an existing healthcare practice, BodyTalk Fundamentals will give you an edge in your field by providing you with the tools to determine why certain symptoms or patterns continue to persist. 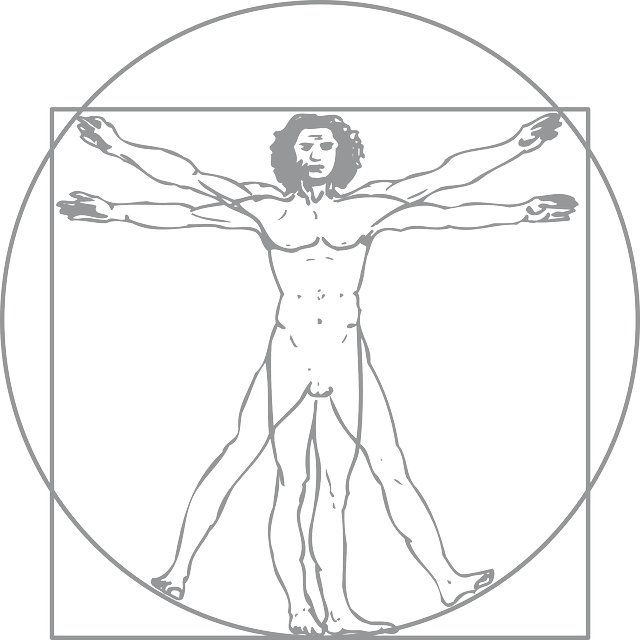 If you have ever been overwhelmed by where to start treatment or what approach to use, the BodyTalk System will help you to truly customize your session for your client by allowing you to identify what to balance and how. Photo header courtesy of Evangeline. PreviousBodyTalk Access in Montreal. Promote your health daily.